Tried to bait some birds today so I could Blip them, but all I managed to do was make a mess with cracked corn on the porch steps. 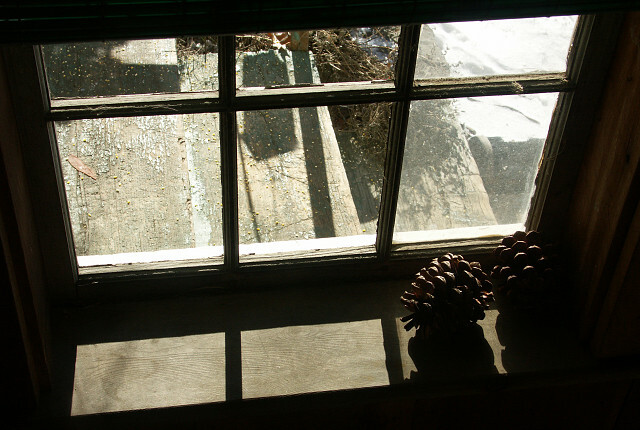 After hiding in the woodshed for half an hour waiting to shoot through this broken window, I gave up. They need to find the food and get interested, I guess. BeRelaxed says the black sunflower seeds work better, anyhow!